Real IPM UK shareholder Andrew Burgess discovers Real IPM products being used in flower and fresh produce production in Kenya. Real IPM UK Ltd shareholder Andrew Burgess has been explaining how the portfolio of biological crop protection solutions and practices he first saw in use in Kenya are very relevant to agriculture in Europe and particularly the UK. Andrew Burgess, Director of Produce World, is involved with a wide range of initiatives putting sustainable agriculture into practice. Certified to LEAF Marque standards is, for him, an important part of gaining consumer recognition for the values and farming system behind the produce on the shelf. Writing for Agricology website about the success of Taylorgrown, a subsidiary of Produce World, which grows carrots, onions, broccoli, cauliflower, potatoes, parsnips, beetroots and courgettes, Andrew explains how he came across the real opportunity that Real IPM presents. 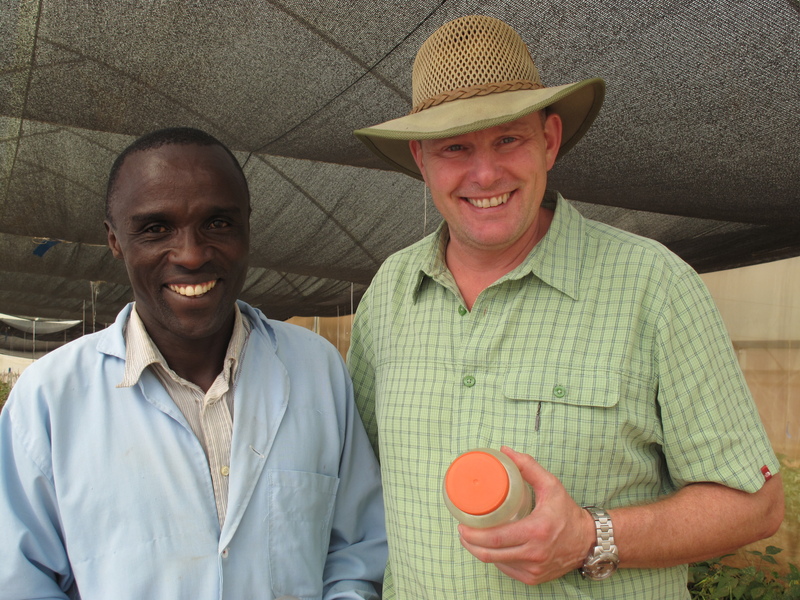 “Whilst in Kenya a couple of years ago, I visited a company called Real IPM Kenya “, he describes,”they have developed a whole range of biological controls such as a mite that eats red spider mite and natural target-specific fungi. Being a shareholder of Real IPM UK Ltd fits well with all the other things that Andrew Burgess is doing to find new, effective and environmentally sustainable pest control solutions. 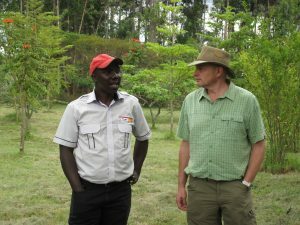 Whether that be looking within the crop, beside it – in creating new habitats favoured by populations of naturally occurring beneficial insects – or in other parts of the world such as Real IPM Kenya. At the leading edge of quality fresh field produce, it is essential to look deep, far and wide to find the integrated pest management solutions for now and for the future.